Real estate foreclosures are often seen as a good buying opportunity by people looking for their first home and investors looking to build a large real estate portfolio. The good news for first time homebuyers is that as long as they are willing to put up with a maybe "not quite perfect" property, there is the possibility of developing what is referred to as "sweat equity". Sweat equity is simply equity, or increased value, created by the willingness of a new owner to do the clean-up and repairs many distressed properties require. The key to success is in evaluating the repairs necessary and being realistic about your capability to do those repairs. Almost everyone is going to be able to trim shrubs back, mow, and water the lawns and greenery on a regular basis. One of the common factors you will find with almost all distressed real estate is the landscaping needs some serious maintenance, but it's fairly easy to get things back into shape, and it's not horribly expensive to do. Commonly, homes owned by a lender will be called foreclosures; homes where the owners have fallen behind in payments are called pre-foreclosures. Once a lender has taken a property back, they will often schedule and complete the necessary repairs to bring a property back to "market condition". Banks know a property in good condition sells for more than a property in bad condition, so they do the repairs to recover as much as they possibly can on their loan. Placing an offer immediately after a lender has taken a property back is one of the best times to purchase a foreclosure. The difficulty is in tracking down the proper department in the lender's office. The department you'll want is the REO, or Real Estate Owned department, be prepared with as much information as you can get to identify the property and have plenty of time available to wait on hold. Real estate agents can be very valuable if you are looking for distressed property and homes in loan default. Picking an agent is something you should spend some time thinking about, rather than just walk into a Realty office and start talking to the first agent you find. Some agents and offices work closely with lenders and asset managers to sell properties the lenders have taken back. We can not only help find the right property for you, but we can also help through the stressful process of trying to purchase a pre-foreclosed or foreclosed home. 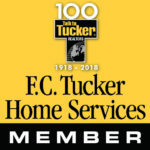 Work with us and sell your home. 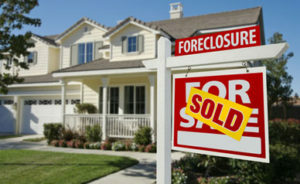 Having a real estate agent is valuable if your home is being foreclosed.